Google showcased the next phase of its automotive strategy at its I/Oconference earlier this week, and announced partnerships with Volvo and Audi, which unveiled concept vehicles running its new automotive operating system. Embedded Android for Automotive is an entirely new system rather than an update to the Android Auto that Google launched three years ago. Both Volvo and Audi announced plans to support Embedded Android for Automotive in their next generations of cars. It will allow drivers to utilize Google Maps, listen to Google partner entertainment channels, and ask Google Assistant for help — even without an Android handset present in the vehicle. “Google’s platform and services will enhance the user experience by enabling more personalization possibilities, while Android will offer increased flexibility from a development perspective,” said Henrik Green, senior vice president for research and development at Volvo Car Group. At I/O, Google gave developers further details on the system’s capabilities, and how apps can best make use of it. Android Auto, which launched three years ago, was designed to provide drivers with an easy way to access information — including navigation, streaming audio and communications — while minimizing potential distractions. Since its launch, Android Auto has been integrated into 300 car models and aftermarket entertainment systems. 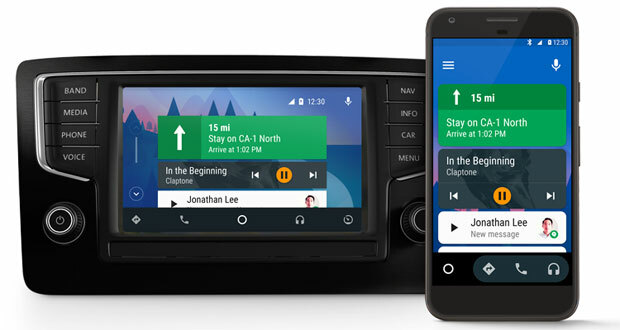 In addition, the Android Auto mobile app has allowed Android mobile handset users to access its capabilities via their devices. Embedded Android for Automotive will take this integration a step further, by providing the same level of functionality without requiring the presence of an Android handset or other device to act as the control hub. Instead, the embedded system will be omnipresent in the vehicle. “This is like what BlackBerry is with its QNX operating system, or Linux in vehicles,” said Colin Bird, senior auto tech analyst at IHS Markit. “Microsoft is exiting the space, so clearly Google sees an opportunity here, as they are moving into the head unit component market,” he told LinuxInsider. “This will provide a lot deeper level of access than Android Auto, and you don’t need a phone,” Bird added. Having Google’s software embedded into the vehicle will enable developers to create apps that are vehicle-specific, and it could support the creation of one vehicle ecosystem. Navigation is one area where Google likely will have a leg up. “This system will make Google Maps available to more vehicles than before,” said Bird. In addition to making app development easier for automakers, Google’s system could provide app vetting and an app marketplace. “The biggest plus should be the easy integration to form a holistic user experience,” said Roger Entner, principal analyst at Recon Analytics. “Considering the huge market share that Android has outside the U.S., this will be a success — barring self-inflicted wounds,” he told LinuxInsider. One issue that will need to be addressed is how Google will ensure that there is adequate security in place. A more universal system — one that also is built on Google’s open source platform — could make it easier for hackers to target vehicles. “Security must be efficient — tight but frictionless — so it’s a tough balance,” said Entner. “This certainly elevates the risk,” said IHS Markit’s Bird. “Android is a popular system that coders use, and there is that aspect of it, but just as Android Automotive was wrapped in a way that contained it from the other systems, we expect this will be the same,” he suggested.